We all went through it growing up: that stage when our faces were seemingly covered in acne. Some people, unfortunately, dealt with much more severe and often longer lasting acne problems than the rest of us, and are still suffering the effects in the form of acne scars. Scarring isn’t fun no matter the cause, but acne scarring is a particularly heinous beast. These scars appear most commonly on the face, chest, and back, three areas that are difficult to hide. This type of scarring is particularly likely to cause low self-esteem and emotional distress. The severity of acne scarring can range from small, light depressions in the skin to deep and hollowed out spots (source), but the problems they cause for those who wear them are universal. Because of this, acne scar treatments are increasingly popular, but not all fad scar care secrets are up to par. 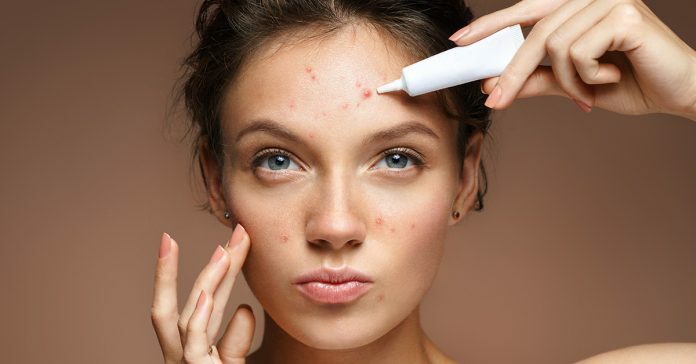 In this article, we are going to present to you some proven methods to help you get rid of acne scars, and talk about what each method has to offer, as well as where it lacks. Remember, not all skin is the same, so what works for one individual may not work for all. For that reason, we will give you detailed information regarding who will benefit most from each treatment as well. It is also important to note that treatments can’t entirely remove scars, only reduce their appearance. Most often a combination of these treatments will work best, but not always. To help you better understand what each of these treatments entails, let’s dig a little bit deeper into each one. Many different types of laser therapy are regularly used by dermatologists to reverse the appearance of scars, acne and otherwise. The two most common types are laser light restoration and carbon dioxide laser therapy (source). The most basic description of laser light therapy is this: small, focused columns of light are used to target scarred skin to break down the old damaged skin and stimulate the body to naturally heal by producing new, healthy skin. 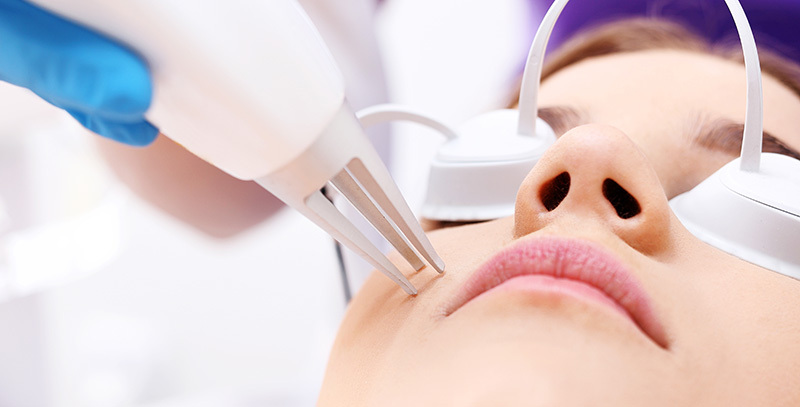 Carbon dioxide laser resurfacing treatments involve microscopic penetration of the skin by CO2 laser microbeams that work to “rehabilitate” scar tissue and stimulate the production of new collagen in the skin (source). Researchers have recently begun to combine these two laser treatments for faster, stronger results. 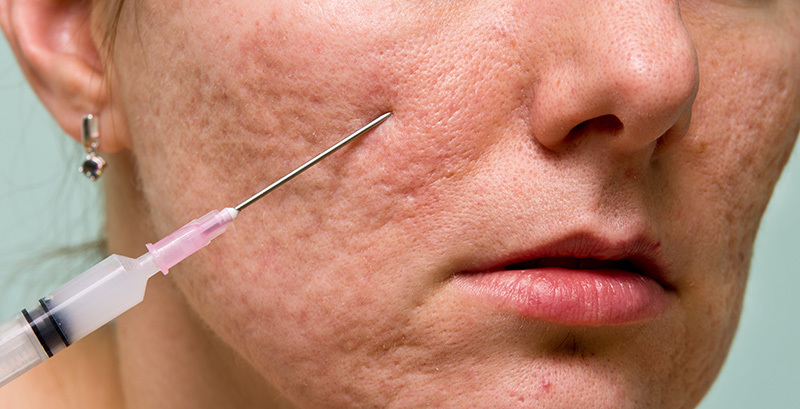 Although we only mentioned Intralesional injections above, there are two types of injections that doctors use to correct acne scars; the other injections are called dermal filler injections. Dermal filler injections are injections that go under the skin to replace collagen that the body has lost. They treat acne scars that are depressed, and they only last around 18 months maximum, so they are not a permanent solution (source). Intralesional injections are used primarily on raised scars. They work by injecting medicine, typically a steroid, into the raised area of the scar to cause the scar to flatten out and soften. This is a permanent solution but typically takes multiple treatments to be successful. There are hundreds of acne scar creams on the market, and all of them have different ingredients. The similarities that all successful scar creams have are retinoids or silicone, which helps to reduce the appearance of scars. There are also “natural” scar creams on the market that include things like coconut oil, aloe vera, tea tree oil, helichrysum oil, and vitamin E oil. Few studies exist on whether or not these treatments really work, however. A more invasive way to manage the appearance of acne scars is to have surgical revision done. The essence of this process is to alter the appearance of the scar by way of cosmetic surgery (source). This process is permanent, but, like all of the treatments we’ve talked about thus far, it does not completely remove the scar. Most often doctors recommend acne scar sufferers use a combination of the methods we have discussed above. This recommendation is offered because it’s very rare that a patient will have just one type of scarring, and not all patients react the same to every method of scar reversal. As we mentioned briefly above, methods like injections have specific purposes. Dermal fillers will raise indented scars to reduce their appearance, while Intralesional injections will help to flatten raised scars. Talking to a dermatologist is always the best way to understand what methods will work best for you. Let’s talk about some basics to help you get a better idea of what works for different types of scarring. Remember, all of these recommendations will work best when combined with other treatments at your doctor’s agreement. Keloid scars are particularly unpleasant because they often appear red or dark when compared to the healthy skin surrounding them. They can occur up to a year after the acne that caused them has faded away. They are usually thick and rounded clusters of scar tissue that appear irregular (source). The best methods to remove keloid scars include topical creams, Intralesional injections, laser therapy, and surgical revision. Although keloid scars are unpleasant to look at, they are surprisingly treatable, so many of the options we’ve discussed will work to reduce their appearance (source). These scars often heal naturally, although it may take up to a year or so for their appearance to fade completely. Hypertrophic scars are sometimes confused with keloid scars because of their red appearance, but they occur in different areas. Where keloids occur outside the initial skin defect, hypertrophic scars occur within the boundaries of that defect. Hypertrophic scars also start developing sooner, usually within weeks of the initial injury. The best methods to remove hypertrophic scars are steroid applications or injections, silicone gel sheets, laser skin resurfacing, and topical creams. Other methods may work as well; depending on the size and severity of the scars you are experiencing. Contractures are not common but do occasionally occur with acne. They are formed when a large area of skin is damaged, which results in a scar. The scarring over that large area of skin pulls the edges of the healthy skin together to create a tight area and essentially decreases the size of the skin in that area of the body. Burn victims often have contractures on their skin from a large area being injured at once. Smaller versions of these contractures can be found on the skin of those who have suffered from large areas of acne that have since scarred. The best treatments for these scars are tissue-rearrangement techniques like dermabrasion, collagen injections, and laser therapies. These are the most difficult types of scars to treat because of the way they occur, but that doesn’t mean you can’t attempt to reduce their appearance. If you’re not into the idea of seeing a dermatologist about your acne scars quite yet, you can always start acne scar treatments at home to reduce the appearance of scarring. Below we will look at some basic steps you can take to start the healing process and get your skin back to beautiful. 1. Get on the collagen train. Getting more collagen doesn’t have to mean laser therapies and dermabrasion. It can be as simple as eating the right foods and using a topical cream. Eating more fish, eggs, meats, strawberries, and lemons will help get you the extra collagen to start the healing process from the inside (source). 2. Grab an acne scar cream. A quick Internet search will pull up hundreds of scar treatment creams for you to try. Unfortunately, not all treatments are created equal. Remember, silicone and retinoids are the best ingredients to look for in scar reduction creams, and also look for a cream that is specific to your type of scarring. 3. Cover the affected area in silicone sheets. You can easily access silicone sheets or gels online or in your local drugstore. Silicone is a well-known reducer of acne scars, and won’t hurt you if used over time. To use these sheets, simply apply them to the scarred area, leave it overnight, and wash off in the morning with a gentle cleanser (source). Acne scars are never fun to deal with, and they are all too common. Luckily, there are plenty of options for you to reduce the appearance of these scars both at home and at your local dermatologist’s office. The best way to achieve optimal results with these scars is to use multiple scar reduction methods at the same time. We recommend you try our at home treatment steps first and then see a doctor if you aren’t getting satisfactory results to see how they can help you rid yourself of those nasty scars for good.